You guys! I’m SO excited to begin my new Subscription Box series that will feature a new subscription box every week. This week, I’m going to share one that I absolutely LOVE! 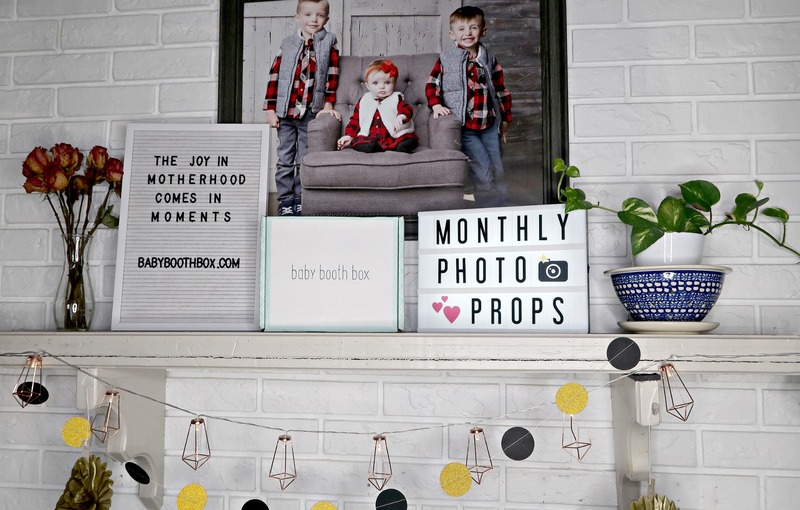 It’s called Baby Booth Box and it’s a monthly subscription of a themed collection of photo props to accompany a milestone blanket and help you capture those special monthly photos every month of your baby’s first year! We received a complimentary box to facilitate this review. As always, all thoughts are my own. I’ve always struggled with trying to get everything just perfect for my kids’ monthly photos and, unfortunately, as a result I ended up waiting so long that small window of opportunity would pass as the next month drew nearer before I had that one specific photo that I wanted. Baby Booth Box takes care of all of the planning and takes away all the stress with their fun subscription box that is ready to go! I sooo wish I had found this box sooner, because Avalynn just turned 12 months old this week. But I know many of you are either expecting or have little babies, and you definitely want to check this out. It also makes a wonderful gift for a baby shower that will help the mom in your life make lasting memories of her sweet baby! The theme for the April box we received is Glitz and Glam and I absolutely LOVED everything! Come take a peek inside the box with us! When you start your subscription, you can choose if you’d like a baby boy box or a baby girl box. Then, add your baby’s name and a few details and choose which subscription works best for you. Boxes ship the 5th day of every month. Inside every customer’s first subscription box is a milestone cloth that will be the backdrop of each monthly photo and a set of themed props. In your shipment notification email, Baby Booth Box will let you know which color onesie will go best with the monthly theme so you can have everything ready to shoot as soon as your box arrives! The Baby Booth Box subscription is $40 for one month or you can subscribe for 3, 6, or 12 months and save a little! If you’d like to learn more, check out www.babyboothbox.com! We had a lot of fun with this box! I will say that getting my 12 month old baby to sit still for the perfect photo was a bit of a challenge but I think it turned out super cute! Be sure to check out Baby Booth Box for your baby’s monthly milestone photos! Let’s Chat! What are YOUR favorite photo traditions? Leave a comment! I’d love to find more ideas!